Move to the Background – Having the Authority front and center every single week is arrogant, short sighted and sure to keep the product stagnant. As much as I love The Game, I am sick of seeing them come out and run their mouths. Not in a “man I love to hate them” way either. This is boredom hate. 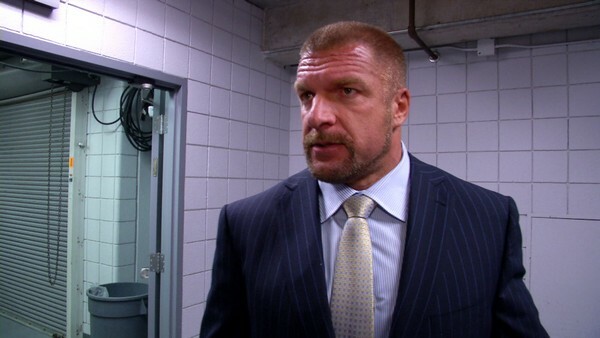 It is time for Triple H and Stephanie to move back and make it mean something when they appear. They have more face time on television than the biggest stars in the company. It is silly. I used to get a jolt in my stomach when Triple H’s music hit. Now I just roll my eyes. Break out of the box – Every week you can literally predict every moment of Raw. The segments all go the same way. The commercial breaks are even predictable. The set up of the show needs a total revamp to give it a fresh feel. Right now, we are watching the same product week after week with the same feel. Mix it up! Vary the competition – One of the worst things that can happen to professional wrestling is over-saturation. When you have the exact same finish used week after week, the products becomes stale and predictable. I have seen John Cena vs Randy Orton so many times that I might turn off the television if I see it again. There is no reason to force us the same match ups all the time. The hopper is full of young talent. Create some new segments – Piper’s Pit, The Highlight Reel and countless other segments gave Raw a totally different feel from other wrestling shows. Come up with some new and interesting ideas to use the younger talent. Look what happened with Bad News Barrett when they gave it a shot. The guy went from icecold to white hot in no time flat. Stop ignoring the audience – I understand the slow burn and what it takes to get an audience hot. Still, you have to respond and eventually give them what they want. Cesaro is a perfect example. He has been hot for a good bit but has now cooled considerably because the WWE ignored their audience and booked him horribly. There are other examples….just look at what they have done to Damien Sandow. I refuse to ever forgive them for his current character. He had such a huge amount of promise as a heel. What changes would you make if you were in charge of the WWE? Tune in Tomorrow for more special CDL WWE posts!